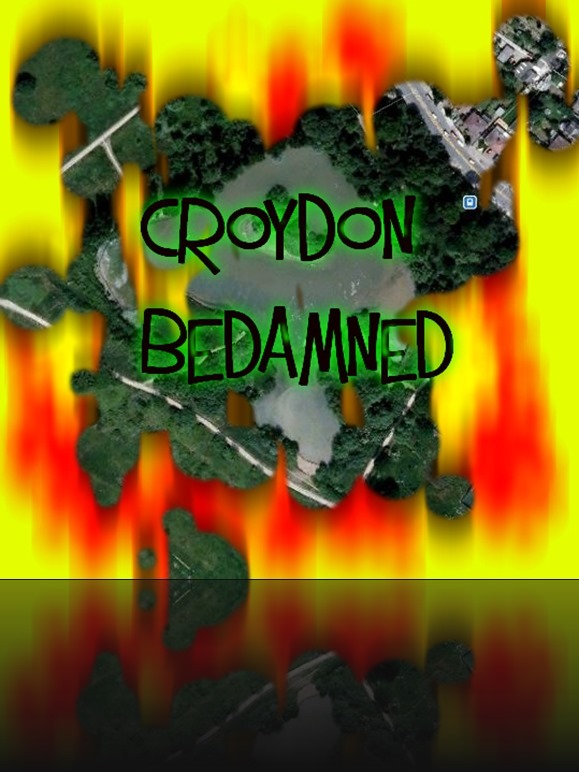 This whole thing about Croydon has got my dander up! 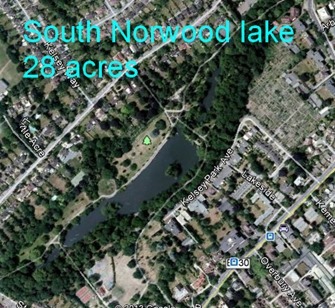 In as OCD manner as I could possibly muster I did a Google Earth on these lakes as I was in a mood to get seriously medieval on their sorry asses. As Wizardmarra, holder of the ancient title passed as a sacred gift down the misted forests and endless hotel corridors of time from one to another since the days that King Coel himself called for his pipe, his bowl and his Fiddlers Three. The Original Wizardmarra was the warm up act. I uphold my sacred duty, never shall these southern rapscallions have that title. Excuse me from your company for a moment, madam, I must micturate. Sam likes to micturate all over the toilet seat. Very pleased about the chance of buying micturate mugs and shirts and Sam frankly needs a bloody good thick ear, the dirty child! Well one assumes it’s a (male) child. Mid Glamorgan being a nearby word should also rush out now for Sou’westers and Oilskins and more than one bottle of Dettol, but nothing indicated I’d spelt micturated incorrectly. Thank god I spared myself that urinary faux pas. Unlike some nights I can think of, that dreadful affair in Padstow being a prime example. but this has got me off the track of this business of Croydon claiming the title Lake District should be taken away from Cumbria on the grounds that they have two lakes and we have but one. 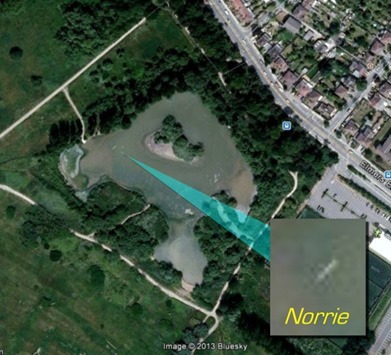 Setting aside the linguistic case, Meres, Waters being other words for lake. 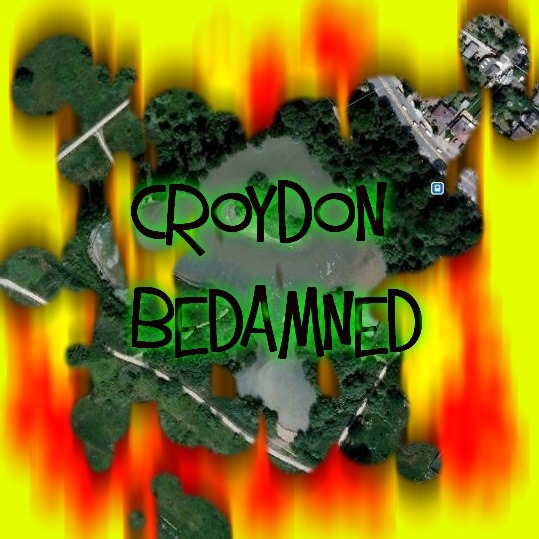 So it’s fairly safe to bet the burghers of Croydon haven’t done their homework. This place who’s only claim to fame is that “Pickles” the dog that recovered the World Cup that had been stolen in 1966 lived there (as presumably his master also did (celebrity stardom followed including an early reality show “In A Pickle!! !” in which cameras followed Pickles round too see if he could find anything else. Being transmitted live, the BBC decided it was better for viewers not to see some the things Pickles found)) I will vouchsafe it the honour of some nobility as it was also the home to Arthur Conan Doyle who is I think of equal standing to any of hour literary icons. Though we don’t claim the name “The Poetic Lands” because we have more than one. My case, which I now raise. Will be brief. The lake has one island with possibly up to three trees on it, photographic evidence suggests that some boating activity may be taking place though it could also be debris or that proof exists of the legendary monster “Norrie” living there. …Where then will their self aggrandizing ego take them next? This entry was posted in Life & Living and tagged Comedy, English Lakes, The Lake District by Alan Whittaker. Bookmark the permalink.